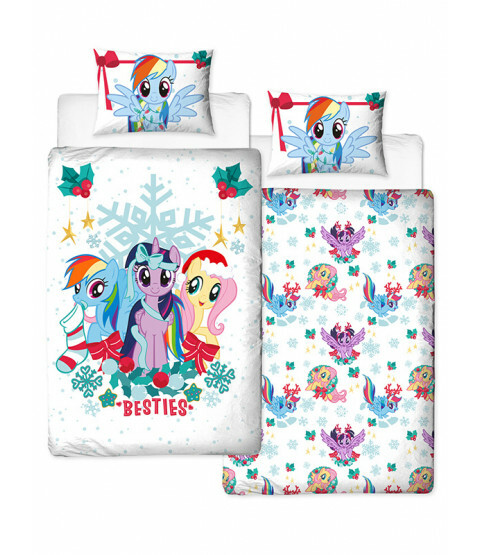 This official My Little Pony Holly single duvet cover set will bring a touch of Christmas magic to any bedroom. 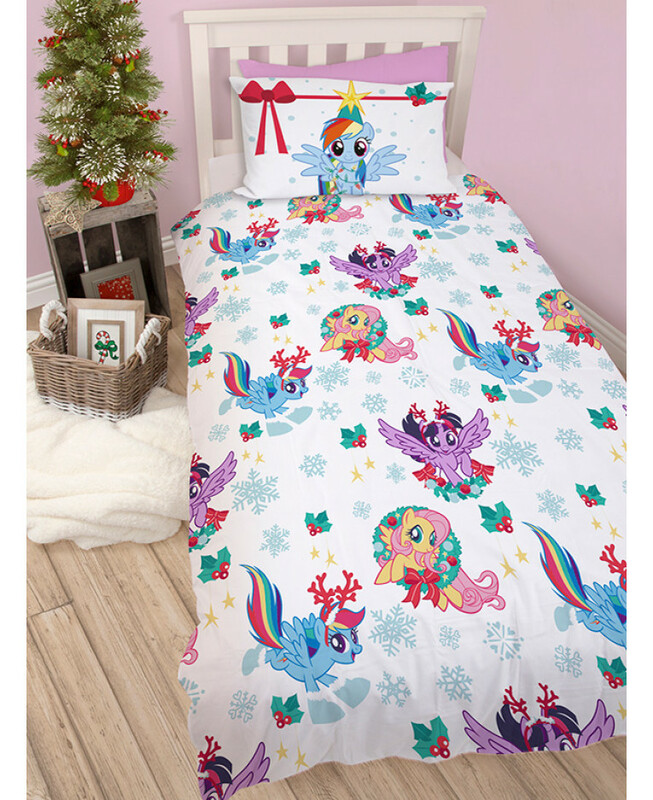 The design features Rainbow Dash, Twilight Sparkle and Fluttershy with festive stockings, hats and bows on a snowy white background patterned with holly, snowflakes and stars. 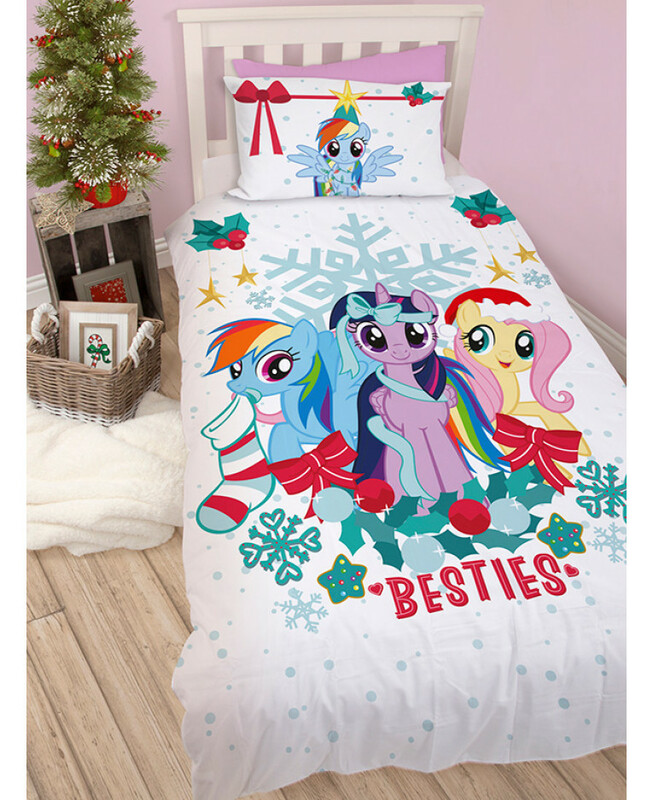 The reverse has a similar design in a smaller repeat pattern. 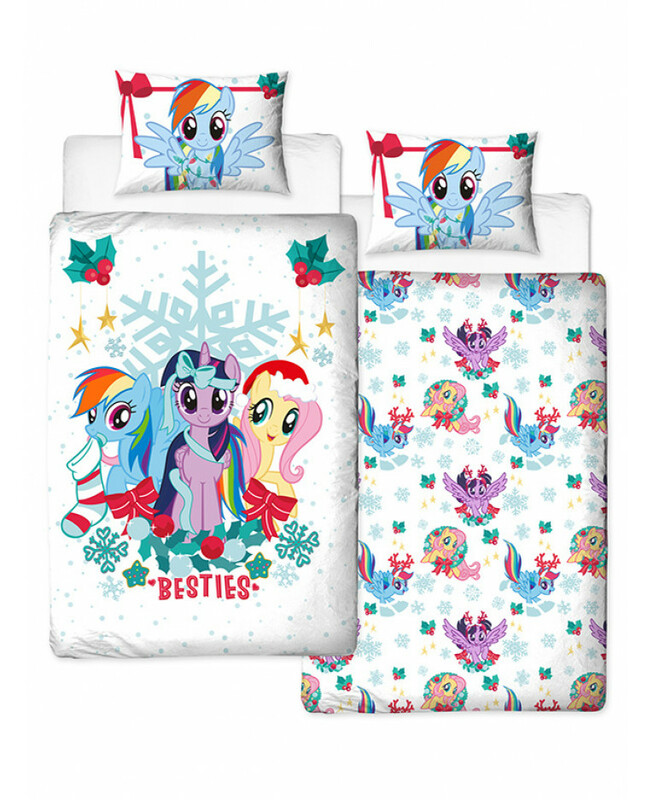 This bedding set is made from a polycotton blend and can be machine washed and tumble dried on a low setting.